Providing you the best range of batch oil fryer, oil frying machine and continuous oil fryer with effective & timely delivery. We manufacture and supply a wide range of Batch Oil Fryer, which is fabricated from superior quality of raw materials. Our product is appreciated for its durability, performance, reliability and specific features like optimum performance, latest technology and compact design. These fuel efficient machines can make different kinds of snack with maintaining quality of the oil and can be operated with Gas/Diesel or Fiewood. These are available in competitive price and various models. 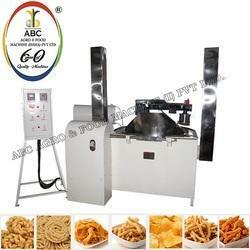 We are one of leading manufacturer and supplier of Oil Frying Machines in two models: batch type and continuous type. 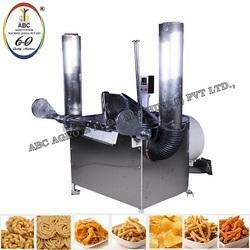 These Oil Frying Machine are manufactured with latest and advanced technology for our valued client. These machines are apt for frying raw potato slices and sticks in water manufacturing units. Highly efficient in saving fuel as well as edible oils, these manual, semi and fully automatic machines are equipped with electronic meters and frying time monitoring. We are engaged in manufacturing and supplying of a varied assortment of Continuous Oil Fryer. 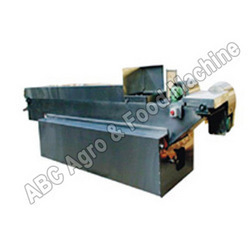 Fabricated by using highest quality raw materials, these low maintenance machines are immensely durable and reliable. With precise and tremendous performance, these are very cost effective as well. These can be operated by using various types of fuels like Gas/Diesel or Wood and are available with capacity: 100Kg/hr onwards.